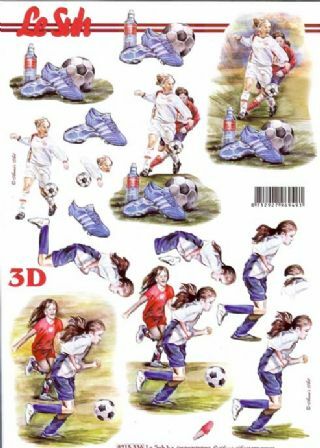 A step by step 3d decoupage sheet with the sporting equipment needed to play football, golf and cricket. Earn 0 points, worth £0.00, when you buy this. 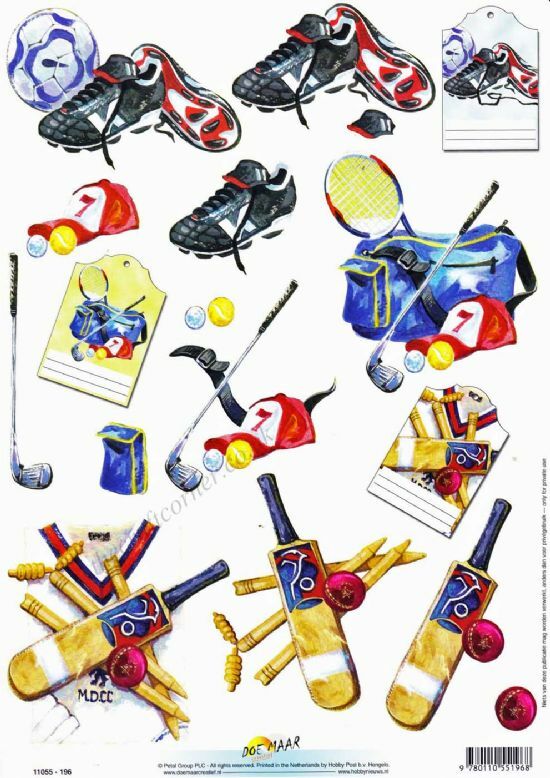 1 A4 3d decoupage sheet with equipment for playing football, golf and cricket. Ideal for card making, scrapbooking and all paper crafts. Create stunning cards for any occasion including birthday or Father's Day. This sheet is a step by step sheet. All the pieces have to be cut out and layered to create the 3d effect. Perfect for the beginner and experienced crafter. Own Football, Golf & Cricket Equipment 3d Decoupage Sheet? Why not be the first to leave a review.